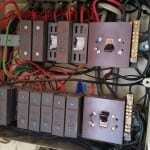 Excellent service punctual efficient and completed tests to compliance well recommended for quality and value. 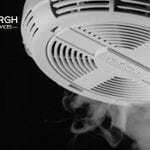 EICR had to work to our very tight schedule in installing smoke/heat alarms, installing a new fuse box, providing new electrical sockets and PAT testing a number of electrical items. 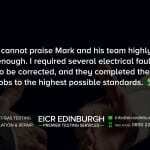 An EICR and PAT testing reports were subsequently provided as required and emailed to us as promised. All works were professionally started and completed on time and we feel the service quality provided was second to none and certainly value for money. 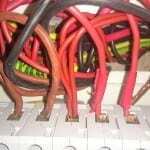 We have no problem in recommending EICR to all our family and friends and we will be using EICR when our PAT testing will be required in a years time.